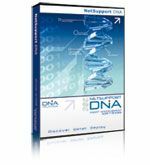 When teachers have trouble with a piece of equipment or software, they can use the NetSupport DNA Helpdesk online program to submit a trouble ticket to tech support. DNA helpdesk notifies the tech that he or she has another ticket via email. The tech can also use DNA helpdesk to check the latest hardware and software configuration of the machine and also see a report of other tickets coming in all of which can aid in troubleshooting and reduce down time and cut cost. Pros: The helpdesk gives an up-to-the minute inventory of the hardware and software installed on the machine that reports a trouble ticket. The program can set customizable rules so that specific kinds of trouble tickets can be delivered to specific techs. The helpdesk can be accessed from handheld devices; the pages on a handheld are easy to read and the tech can add customizable fields. User data can be imported from a third party source. Ticket escalation can be automated and reports can be viewed online. Overall evaluation: While this is similar to other helpdesk products on the market, three things make it very unique: the up-to-date hardware and software inventory; the full handheld functionality; and the customizable knowledge base. These three factors make this an exceptional product. Price: $1750 for 3 operators.